Hakodate port. This area was once prospered as pioneering outpost, and the memory of that exotic past still hangs in the air. 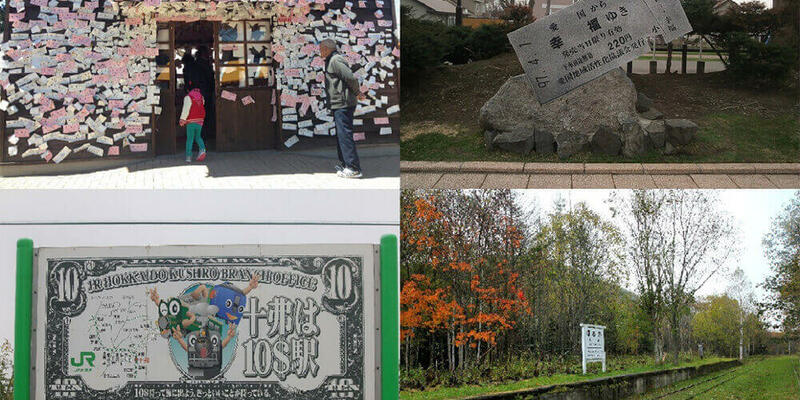 Also, evidence of various epic historic events that took place at the end of the Edo period are scattered throughout the city, so if you decide to visit Hakodate I recommend exploring this aspect of the area thoroughly. Going for a walk up the hill and along the foreign cemetery is a good way to take in Hakodate’s unique atmosphere. 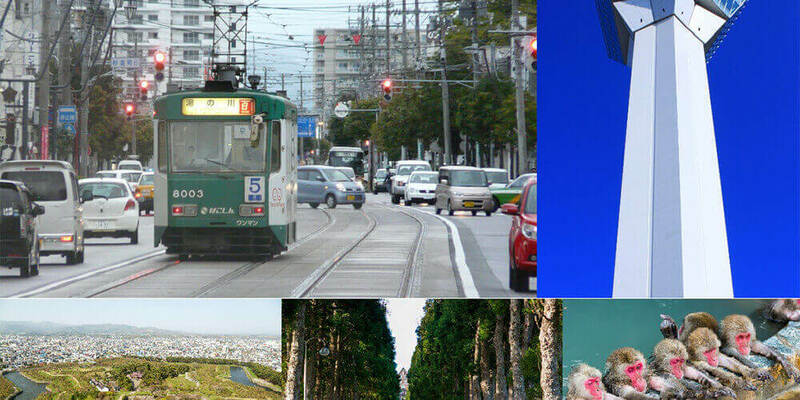 Major sightseeing destinations include the Motomachi area with its cluster of churches, the bay area with the Kanemori Red Brick Warehouses, and Goryokaku Park with its historic relics. Also famous is the Hakodate Morning Market where you can enjoy fresh seafood bowls and shopping. Winter in turn offers the very special sight of wild monkeys coming to bathe in the hot springs. 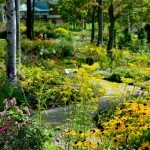 The place to see them is Hakodate Tropical Botanical Garden. 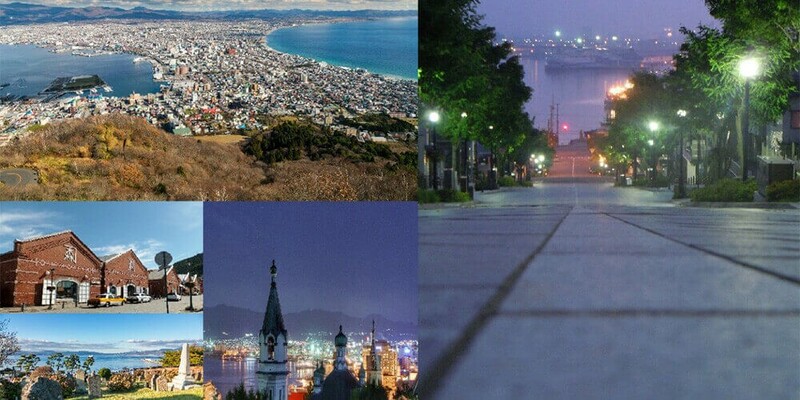 Finally, arguably Hakodate’s most famous sight is the night view of Hakodate Bay from atop Mt Hakodate. Actually, besides a splendid night view, the mountain also offers a beautiful walk up steeped in history; so if you’d like to experience both it’s best to start out the climb well in advance of sunset. 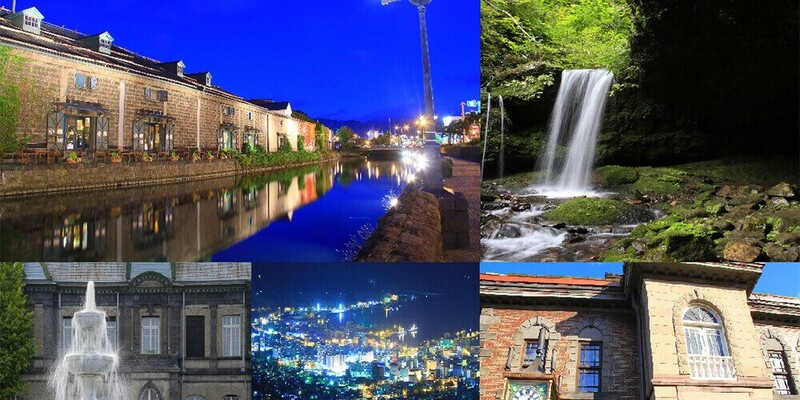 A city of Otaru with many sightseeing spots scattered around the nostalgic Otaru Canal. There are times when you can go on a day trip from Sapporo, and many tourists visit regardless of the season. Along the Otaru Canal there is a gas light that directs the landscape, and it is one of the charms that you can enjoy walking in the beauty where you can sigh. It beautifully illuminates the flourished as a port of shipment from the latter half of the Meiji era to the early Showa era. 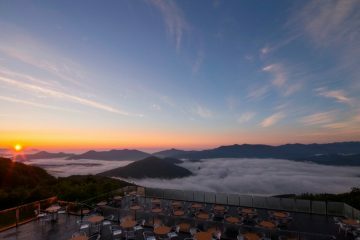 In addition, if you climb Otaru Tengu mountain and Miruzaki mountain, you can see the night view of Otaru, you can play day and night and it is two stone with one stone. It is also fun to explore the retro sense of the city streets such as Otaru Music Box, Steam Clock and NYK Line. On the other hand, there are places where climbing can also be done near Otaru, mainly famous for Shioya Maruyama’s hole waterfalls. 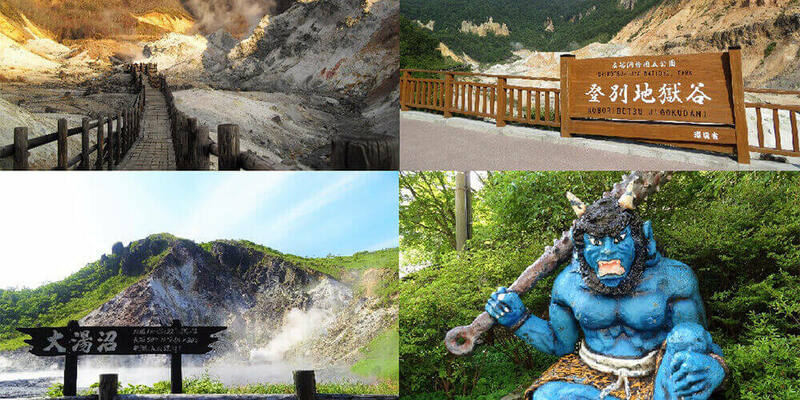 Many people soak up fatigue by soaking in hot springs after Shimoyama. 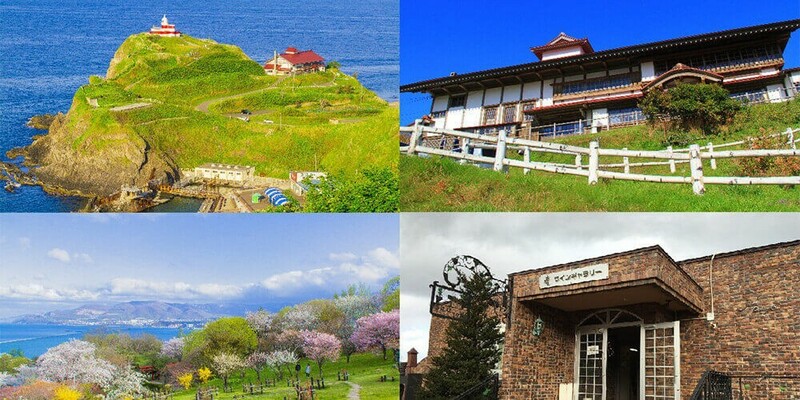 In addition to popular spots such as Takashima Cape, Okonomiya, Hinwa Mountain Lighthouse, Otaru Aquarium etc. There are many places to drop in such as wine gallery, cherry blossoms in the temple park, and Kitaichi Glass. 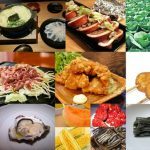 Otaru sushi etc. are also famous for seafood, so it is delicious, so I think that the advantage of being able to enjoy the real pleasure of traveling in one place in Otaru is encouraging for travelers. 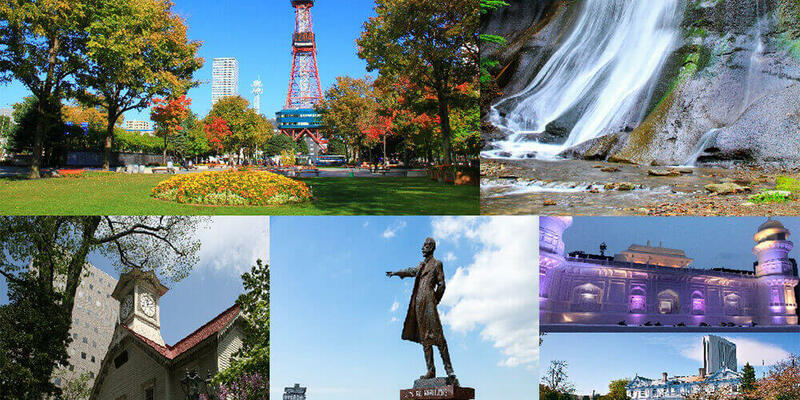 Sapporo, which is not an exaggeration to say it is the royal road of Hokkaido, also has excellent access from the gateway to the north from New Chitose Airport. Let’s aim at here first! I guess there are more people there. The highlights are also full, and the remnant from the pioneering era such as Sapporo Clock Tower and the former main government building of the Higashi Agency are concentrated between the Odori Park and the south exit of Sapporo Station. In addition, the Sapporo Snow Festival is held at the Sapporo Himagaoka Observatory, famous for the statue of Dr. Clark, the Moerenuma Park where the art park is attractive, the important cultural property in the Nakajima Park, Toyohira pavilion, in Odori Park in winter It will be. 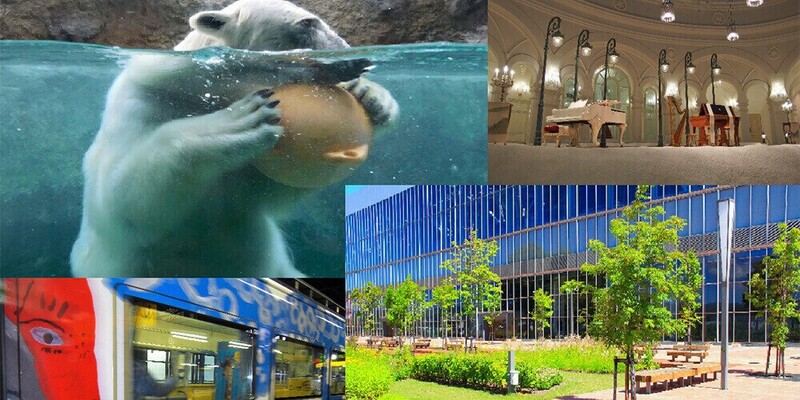 In addition, in Sapporo City, experienced facilities such as Maruyama Zoo, North Safari Sapporo, which can be in touch with animals such as polar bears and owls, rural theme parks connecting urban and farming, such as Sapporo and Rare are enriched. Also, for people who want to touch nature, Maeda Forest Park of a large scale as if it came to another world, Moiwa Mountain where autumn leaves are beautiful, Jozankei etc. are also recommended. And in the city there are many easy-to-eat hoods that you can eat, but you can eat a full stomach and your stomach will lean as you walk soon, so the belly 8th is the best. 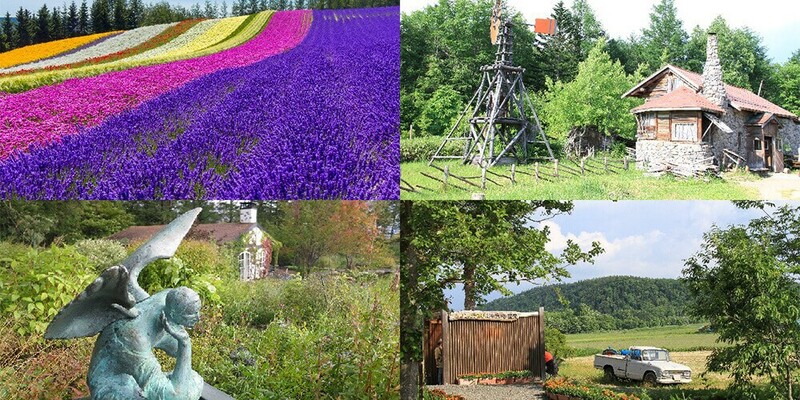 Linking Hokkaido and lavender, Furano & Biei spread as a leading tourist destination. 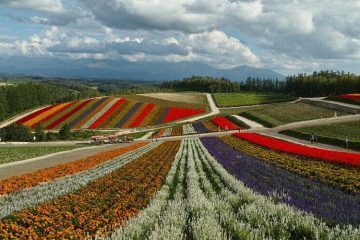 There are “Tomita Farm” and others in Furano here which made the name familiar from one poster of JR to all over the world now. About a few ha of vineyards will start preparing in spring from the spring and will draw curves not only with lavender but also with colorful beauty. Also famous as the location of many popular drama locations, the stone house of Goro Kuroto used in the play from “North of the country”, the track of Kuro Goro, the garden that comes out in “Wind Garden” etc. 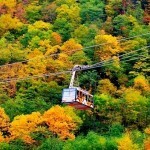 It is used as a sightseeing spot as it is. Familiarity may be raised when you go sightseeing in the mood of Goro. 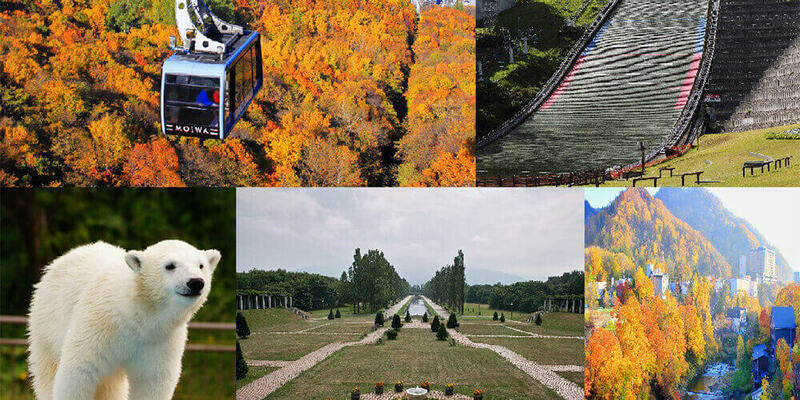 Biei is known as “the city of a hill”, and flowers and rural landscapes by season are drawn beautifully using hills. Especially attention also to the trees standing in nature such as Mild Seven’s hill and Christmas tree tree which became famous because of commercials. Because it is a basic hill, it is just a place to draw pictures from anywhere. Also, as there is a blue pond of platinum which became famous in recent years, there are many people who drop by together. Not only lavender but also the scenery where the seasonal flowers beautify the landscape is one of the attractions. Cherry blossoms in spring, flowers in summer, autumn leaves in fall, snow in winter. Because the common seasons are deployed on a dynamic scale, I think that there is considerable impression. 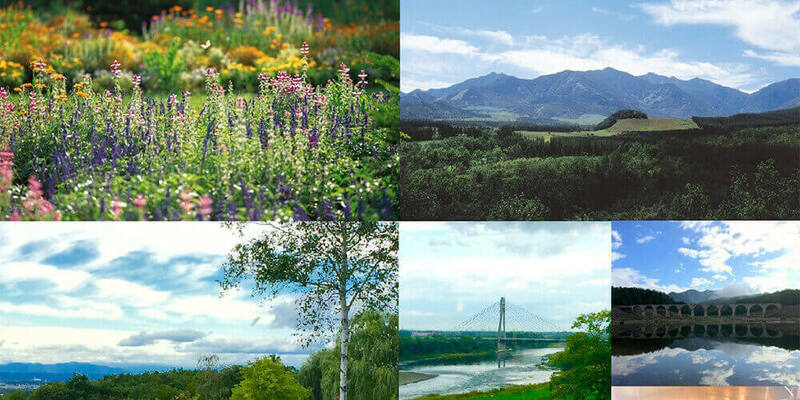 Asahikawa is a sightseeing spot with a familiar Asahiyama zoo. The drama series whose zoo became a motif has been developed, and its popularity continues unabated. The attraction of the Asahiyama Zoo is that the distance to the animal is very close by the way called “action exhibition”. In addition, because the animals and productions seen are different in summer and winter, it is also crafted to be able to enjoy even if you visit. Asahikawa is not the only presumption of the zoo. The snow art museum which all the interior was made with the image of snow, “Kitakami Garden” adjacent to Asahikawa station just opened on July 4, 2016, seasonal flowers, herbs and vegetables are planted in the flower bed , You can feel free to enjoy plant appreciation. 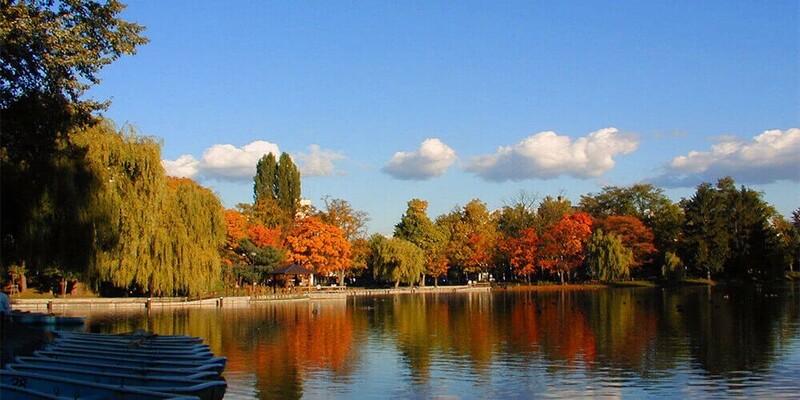 In addition, Asahikawa citizen’s place of relaxation, Tokiwakoen can ride boat while enjoying cherry blossoms and autumn leaves, so I think that it is good to go round the city itself as well as the zoo. Noboribetsu boasts one of the best hot water in Japan. From the mountain named Jigokudani, you can see the source and smoke that springs the tremendous power from underground in the atmosphere of sulfur. Named after the name, there are life-sized statues such as blue demons and red demons, and the production is also quite good. It is a valuable place to take memorials and commemorative photos, so let’s not forget the camera. *Do not worry because it is not alive. In addition to Otanuma which made a gourd, and Caldera Lake “Kuttara Lake” boasting top class transparency in the country, also known as Noboribetsu bear farm where bears are the protagonists and they are willing to take any pose from humans. Also the topic of recent years is the footbath of Oyunuma River. Here is the natural footbath which hot water spilling from Oyunuma is flowing naturally! (That is, the river itself is a hot spring.) 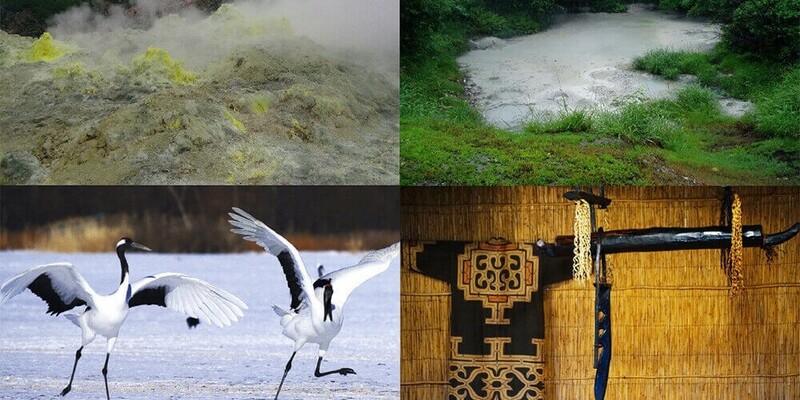 You can enjoy the unique taste of Noboribetsu which enjoys forest bathing and enjoying footbath with sulfur scent. Oyunuma River Because it is close to Taisho Hell located on the sidewalk, it is possible to visit a stroll as if you were walking. Free of charge for all! 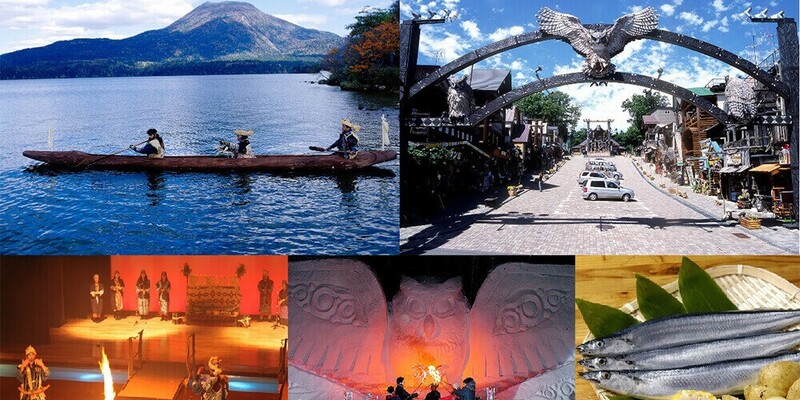 Akan is a place where Ainu Kotan’s tradition remains strong. Even now I express that color in various forms. In addition, there are scattered lakes and observation decks shining on the nature such as Onetto, Kussharo Lake, Mashuho Lake. Also a great stopover when driving through the area. Lake Akan is a lake where spherical marimo lives. 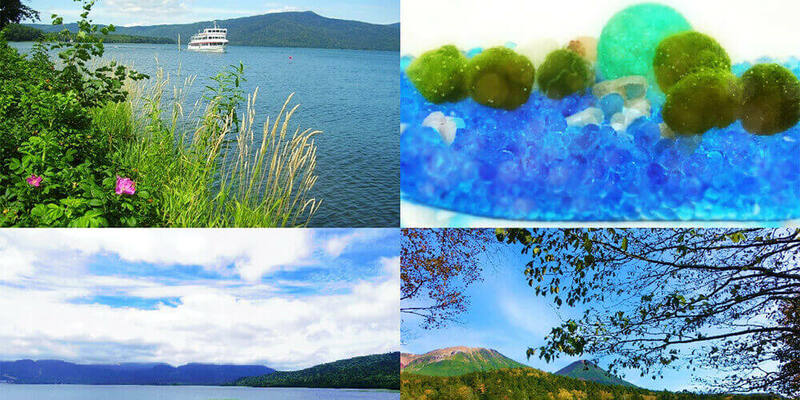 If you are going to the Marimo exhibition observation center where you can observe a rare marimo which is also a special natural treasure, let’s go to the island of Chewului by a pleasure boat or a fast boat. 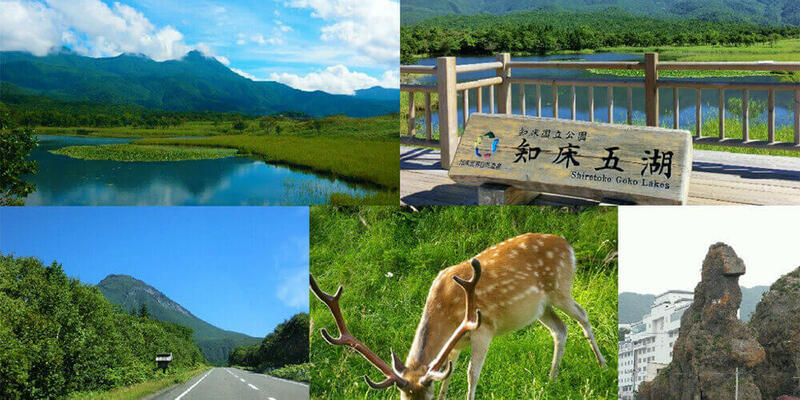 As for the surrounding tourist destinations, it is also recommended to visit the Ainu Kotan city, Iwo Jima, Benkei’s Footbath (Bokke Promenade), Kushiro Wetland which can be strolled in the boardwalk. 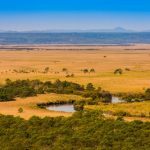 The walking trail of the Kushiro Marsh Observation Deck Course is about 2.5 km, and a walk to the satellite of the Observatory will be a precious time to meet various creatures and plants. It is also famous for watching cranes in winter, you can also see cranes protected at Aku International Crane Center. 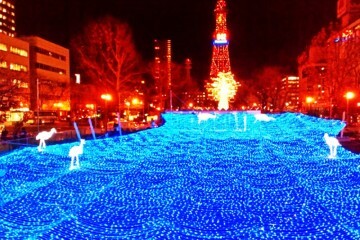 From the Higashi Hokkaido photo library and around Akan, it is one of the charms that there are many events in a year. Marimo festival, large harvest festival in Akan autumn, various festivals such as Iomante’s fire festival and Akan lake ice festival. When going, we recommend that you join the events as much as possible after gathering event information. 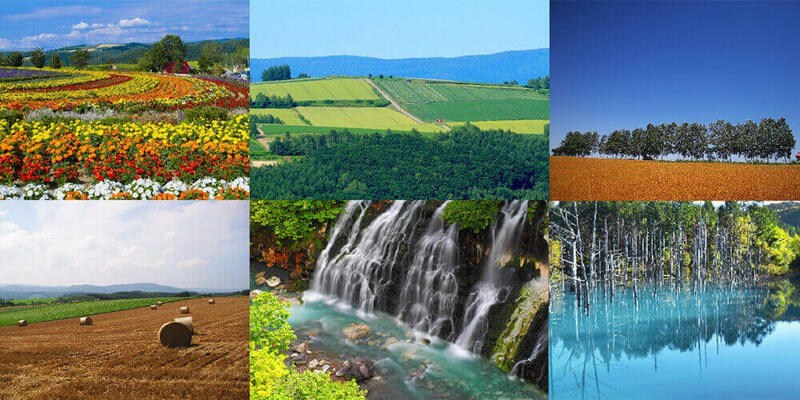 In Tokachi sightseeing spots there are many places to touch magnificent scenery and nature, I think that scale goes far beyond imagination. 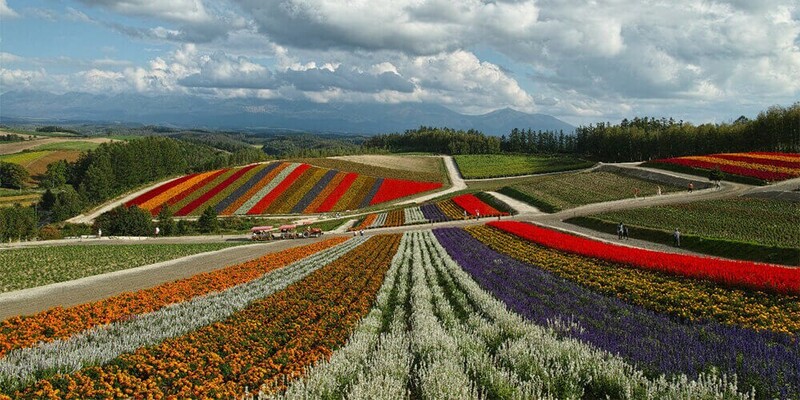 The “Garden Road” connecting heavy snow to Furano – Tokachi through eight gardens is a route that is perfect for the drive flowers. The landscape filled with flowers should be the healing of all things. The arch bridge · Toshubetsu bridge in concrete located in Kamishihoro lake in Kamishihoro Town is also fantastic figure in the lake. The nearby spa town has scattered hot springs scattered around it. When speaking of hot springs, Tokachi hot springs is also famous. It is here to put it in “Mall hot spring” with high beauty effect. Also in the vicinity is a happiness station selected as a sacred place for a lover in NPO corporation “Holy Land Project of Lover”, old Horoza station where the tourists stayed abreast, although it became abandoned line. And it is never sharade, JR seriously cooperated, because the boiling point of the cruise station (Tofu Eki) is similar to “Doll Furo”, there are also “Yoshi station signboard” and so on and it comes to bear luck accusing it There are lots of places of interest such as people. Treasury of nature Shiretoko can see the world shared by living things and nature. 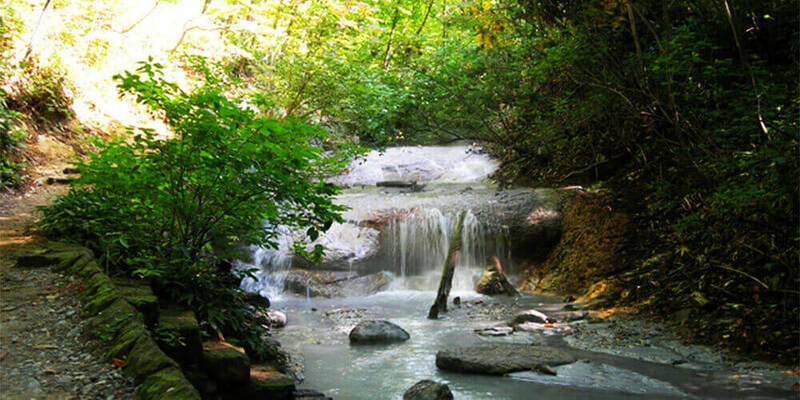 Shiretoko Goko which lives also in brown bears, famous Oshinkoshin waterfalls, places where you feel the mystery of nature such as Kashuni waterfalls falling down to the sea, Flepe waterfalls, Yoshikubetsu waterfalls. Ezo deer everywhere walks (sometimes runs), so you need to be careful when driving. Safety driving is more important than anything because there are many mountain roads. Furthermore, when heading to Utoro, “Godzilla rock” which looks like Godzilla if it is told is also. When taking a commemorative photo, do not fit in the camera, so let’s give up with yourself and take a picture from the place a little. Also famous in winter is “drift ice” which comes to the Sea of ​Okhotsk. The mechanism can be learned at Hokkaido-based Okhotsk Drift Ice Science Center. 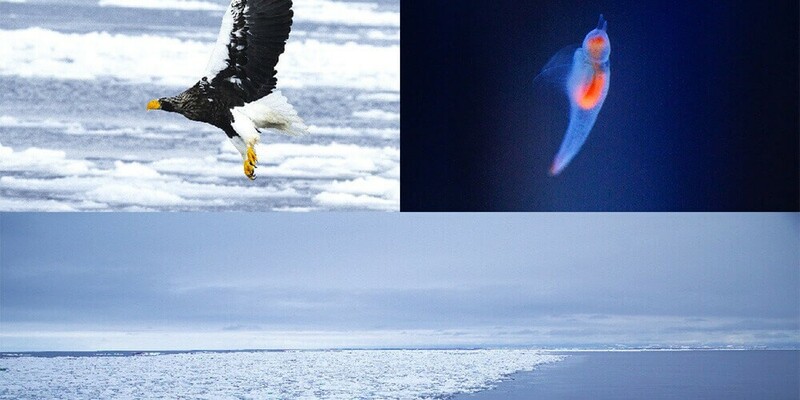 In Hokkaido there are many endangered species of birds, but Steller’s sea eagle and White-tailed eagle are also of that kind. Because it is a bird that can only meet in winter, let’s look for it when you go to Shiretoko at that time. World Natural Heritage Shiretoko Fairy, Clione is also a Shiretoko creatures here. The southernmost tip, the northernmost tip, status of the ‘edge’! Wakkanai is recommended for those who say so. 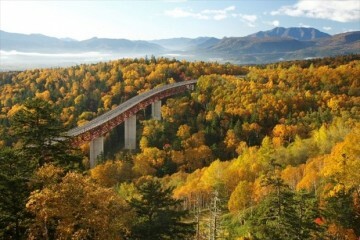 From the cape of No Shappu, it overlooks Shigenori, Rishiri Fuji, Rebunjima, Sakhalin’s shadow. 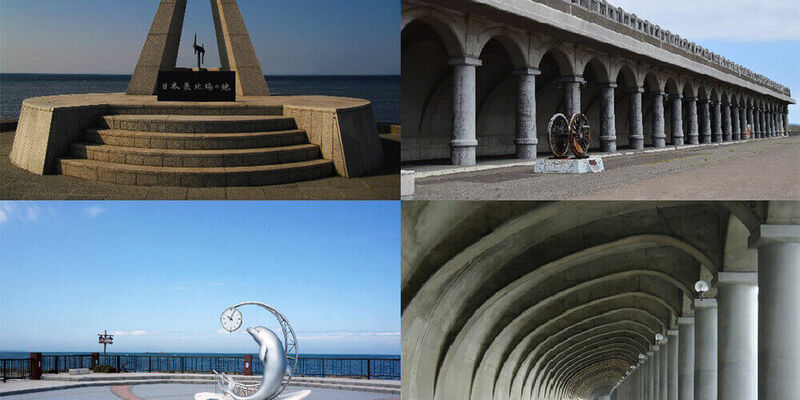 The Wakkanai Kohoku breakwater dome located nearby is also selected as a civil engineering association civil engineering heritage, Hokkaido heritage. Then go further north to Cape Soya, and finally step into the northernmost tip. A stone monument that will prove “the land in the northernmost tip of Japan” is also built, so it should be a nice memorial. 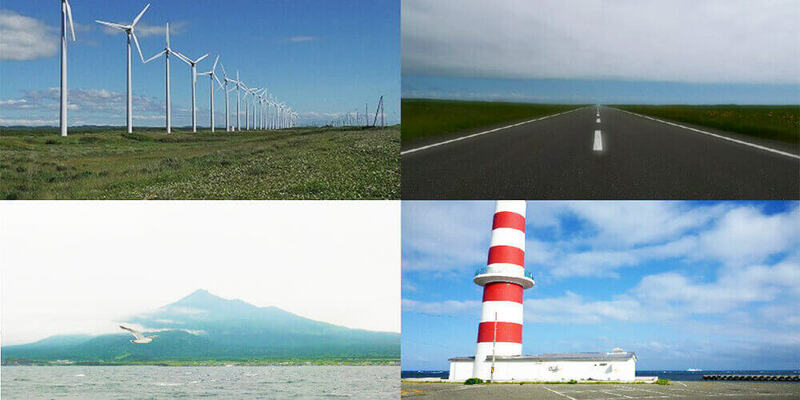 Another good drive route that you can follow along the sea from Wakkanai, well known for the Orolon line of Hokkaido. In the road you can enjoy the scenery while running along the huge windmill of Otonglui wind power generation and the straight road. I think that you can realize how big Hokkaido is. What do you think? 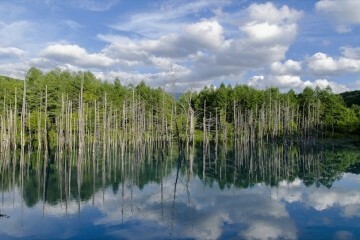 Even in wide Hokkaido, there are still places that can not be removed absolutely. For the first time it is best to go from the royal road first! I tried to select only places that were absolutely satisfactory for the 10 targets this time. As with all sightseeing spots, let’s also check gourmet. You should be surprised at the freshness of seafood and vegetables harvested in Hokkaido. 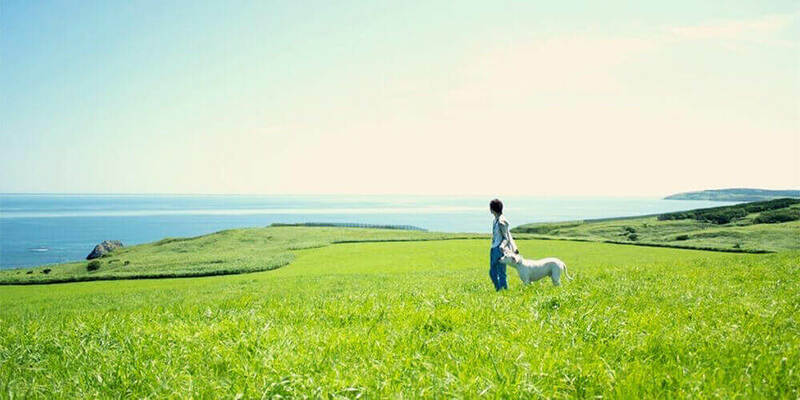 I hope that you can feel the magnificence of Hokkaido once more and get to like it even more.